Delivered by Croner and available to EDA wholesaler members only. Sorry, but this benefit is not available to EDA affiliates. When you call Croner you'll need to quote the scheme number, which is unique to the EDA. You'll have been sent this number when you joined us but if you can't locate it, please call the EDA team on 020 3141 7350. Delivered by the experts at Croner, this Helpline benefit is available to EDA wholesaler members. It provides you with instant access to telephone advice from a team of experts, with the only cost to your business being the price of a low cost phone call. 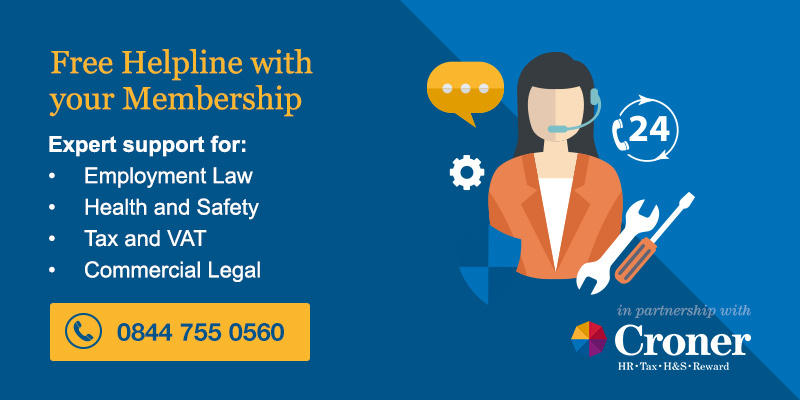 You’ll need to quote the EDA’s Croner scheme number which was sent to you when you joined. If you cannot locate it, please call the EDA Head Office on 020 3141 7350.